Food politics: point and counterpoint. Locavorism might be the sexiest trend of the decade, and Wendell Berry is its prophet. His sharp criticisms of agriculture and food politics are only the leading edge of a growing dissatisfaction with how we relate to one another in the progressively enormous systems within which we have embedded—some would say compromised—our humanity. But this angry opposition is often mystifying to the politically and economically orthodox. Why would anyone resist the production of more food in a hungry world, or turn against the clear social and political advantages of modern systems and technology? Questions of humanity and justice in a globalized world seem at loggerheads, and rarely do the two sides meet. Two recent books are helpful to Christians who want to get their heads around this debate. 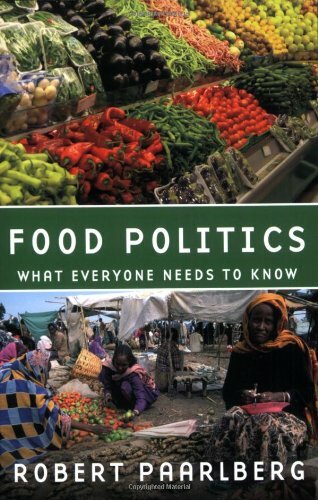 Food policy expert Robert Paarlberg, professor of political science at Wellesley and associate at Harvard's Weatherhead Center for International Affairs, authored Food Politics: What Everyone Needs to Know. It's full of measured, carefully researched answers to food policy catfights, from "What causes famine?" to "Was the green revolution bad for the environment?" to "Is the food industry to blame for the way we eat?" By contrast, in What Matters? 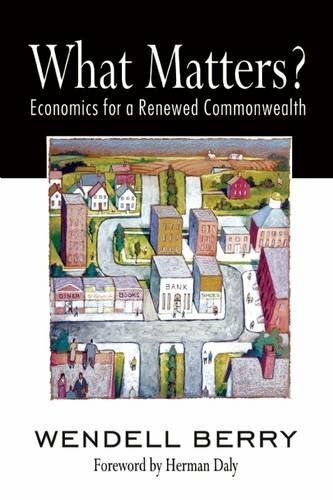 Economics for a Renewed Commonwealth, America's prophetic voice in the wilderness—Wendell Berry—takes the deep view on what he sees as the endemic crisis in modern agriculture and economy. The two books are studies in opposites: the one detached and dispassionate, the other fiery and poetic. Wendell Berry waxes long on our failures while Robert Paarlberg tries to build on our successes. Reading one against the other gives us a way to think—broadly and deeply—about food and, maybe, might also finally bring some political balance to the dinner table.